Mime Unlimited was founded by Artistic Director Christina Sergeant as a means by which practitioners of mime, physical theatre, commedia dell’arte and other forms of actor-centred theatre could gather to explore and refine their work and to show it. Formed as “The Society of Mime Unlimited” in 1992 it became a fully fledged not-for-profit theatrical arts company in 2000. Mime Unlimited continues to explore the art of mime in all its forms together with its related theatre arts, with multimedia and with poetry. It aims to create an awareness and appreciation of actor-centred theatre in Singapore and beyond. * Has participated in every Singapore Arts Festival since 1992. * Furthest North, Deepest South directed by Christina Sergeant and co-produced with The Finger Players won the Straits Times Life! Theatre Awards 2005 for Best Production and Best Ensemble. * Directed Anderson Secondary School’s production of Kuo Pao Kun’s “The Silly Little Girl and The Funny Old Tree” that was invited to perform in secondary schools in Adelaide in 2000. * Groundbreaking productions of poetry and mime in collaboration with Michael Corbidge, “A Perfect Love Affair & Other Mythical Creatures” in 2001, and in 2002 “Four Sides To A Ring”. * An environment for experienced practitioners who wish to develop their own body of work in mime and physical theatre. 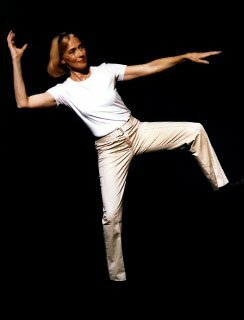 * Resources to people who wish to apply mime and physical theatre to their work but who may have no prior training. * An opportunity to perform new work to the general public. * Open Rehearsal – a free, once a week, workshop for anyone interested in mime. * Open Rehearsal Performance – an annual showcase of new work in mime and physical theatre featuring both experienced practitioners and first-time performers. * Workshops in mime, commedia dell’arte, mask and improvisation. * Performances and theatrical productions. Join us for Open Rehearsal - a free weekly workshop session for anyone interested in mime and physical theatre. Every Monday at 7.30 pm. Email us for details. See you there! Coming up in September! 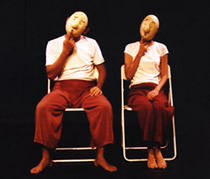 Our annual showcase of mime and physical theatre - The Open Rehearsal Performance 2006. Watch this space for details. Stage Sense : Pontianak, July 2001. A Collaboration with Stage Sense, Kuala Lumpur. Web Design by Shoebox Arts.